Time travel in fiction is nothing new. The Time Machine by H. G. Wells was published in 1895 and has largely been credited for popularising the concept of time travel and coining the term ‘time machine’. 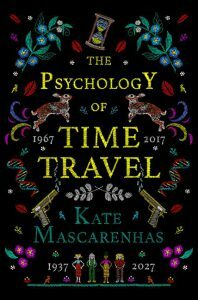 Since then, there have been a swag of time travel novels, including more recently The Time Traveler’s Wife by Audrey Niffenegger and the Outlander series by Diana Gabaldon to name just a few. 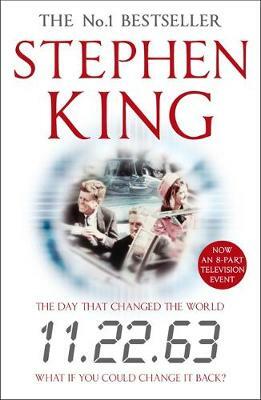 My favourite time travel novel by far is 11.22.63 by Stephen King. In 2011, an American teacher named Jake discovers he can travel back in time to 1958. After careful consideration and a few false starts, he sets out to prevent the assassination of JFK in 1963. 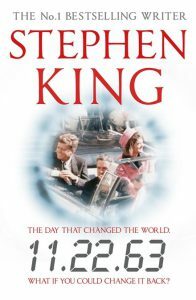 11.22.63 is meticulously researched and comfortably straddles the genres of science fiction and historical fiction. The consequences of time travel and changing the future are addressed through the characters and the ending was extremely satisfying. Like any reader, I’m always keen to discover a new favourite and I have two time travel novels I’m looking forward to reading. Four female scientists build a time machine in the 1960s however one of the group is banished after being adversely affected by their time travels. 50 years later, the business of time travel is booming and one of the group receives a message from the future. I understand this is a murder mystery featuring strong, intelligent women that examines the toll of time travel which always interests me. In 2054, Kivrin is attending Oxford University where students can travel back in time to study a significant period in history. Having prepared for several years, Kivrin travels back to mid 1300s England despite her tutor’s misgivings about being a young woman travelling alone in the period. As luck would have it, she becomes stranded. The reason this is so high on my list is I want to know what happens next. How does she adapt to her circumstances, what does she make of the people, the culture, the lifestyle? 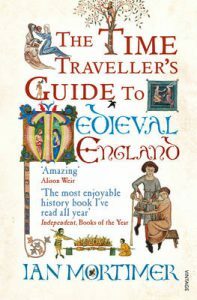 I can begin to imagine Kivrin’s experiences thanks to the brilliant insight available in The Time Traveller’s Guide to Medieval England by Ian Mortimer. A perfect book to read in Non Fiction November, this is ‘A Handbook for Visitors to the Fourteenth Century‘. It contains chapters on: the people, what to wear, what to eat and drink, health and hygiene, where to stay, what to do and more. This is a detailed and comprehensive guide to the period and location and one of my all time favourite reads. 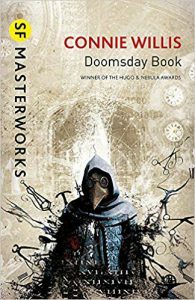 What is your favourite time travel book? Posted on November 15, 2018 Author Tracey AllenCategories Book News, Book Reviews - Fiction, Tracey AllenTags audrey niffenegger, diana gabaldon, HG Wells, Historical Fiction, Ian Mortimer, non-fiction, Outlander, science fiction, Stephen King, The Time Machine, The Time Traveller's Wife, time travel.